Our skincare regimes are as bespoke as our morning coffee orders with each individual step specifically selected to target one skin concern and every product containing tailored ingredients to best suit our skin types, from oily to dry, ageing to stressed. So, um, why wouldn't you apply the same measures when booking a facial? The truth is, it's not a matter of one facial fits all. 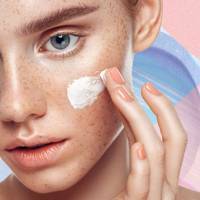 In fact, there are a range of treatments available that will be able to alleviate certain skin conditions, while potentially aggravating others, so it's important to make sure you pick the right one. To make things easy, we've decoded the different types of facial offerings, so all you need to do is lie back and enjoy. Professional pore extractions, chemical peels, light therapy and cosmeceutical products; the cosmeceutical facial is a favourite among beauty editors for its ability to deliver complexing-clearing, problem-solving results. Although it's not the most relaxing of experiences (there'll most likely be a distinct lack of dolphin music and candles), your clinical facialist will tailor the treatment to target your skincare concerns and deliver tried-and-tested methods to improve your complexion and alleviate any troublesome conditions like acne, rosacea and pigmentation. The more traditional facial offering, this is undoubtedly the more relaxing option. Aromatherapy oils are selected prior to treatment to best suit your mood as well as your skin's needs. Calling upon ancient traditions and trusted natural remedies, essential oils can provide a whole host of benefits. Tea tree oil is renowned for its clarifying powers, able to reduce sebum production and dry out existing spots, while peppermint or lavender oils help to relax a stressed out complexion and mind. As well as applying the oils directly, they can also been mixed into scrubs and enzyme peels to deliver a comprehensive facial ritual as well as burned to create a heavenly aroma in your treatment room. 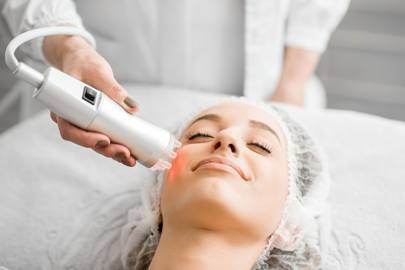 Taking technology to new levels, an IPL laser facial will delve deeper into your skin issues and is great for treating skincare concerns like acne scarring, uneven skin tone and wrinkles. IPL or intense pulsed light provides a non-abrasive way to regenerate the skin. 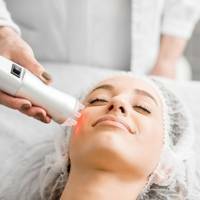 The light pulses are able to pass through the top layer of the skin, delving deeper into the dermis where the energy stimulates collagen production. The results? 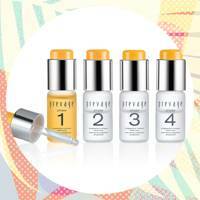 Smoother skin, smaller pores and a more even complexion. You may need a number of treatments to get the best results and they can be more expensive than other facials, so IPL facials are ideally suited to more stubborn skin conditions that haven't resolved with skincare alone. We all know the benefits a good massage can have on our skin. Not only does it helps to boost circulation for a brighter, glowing complexion but it also stimulates lymphatic drainage to eliminate water retention or fluid build up around tension points (in other words, it can give you killer cheekbones). In fact, facial massage is so effective and immediately beneficial that many makeup artists backstage at fashion week won't touch a model's face before administering a lengthy massage. It's little wonder, therefore, why so many celebrity facialists are renowned for their massaging abilities. 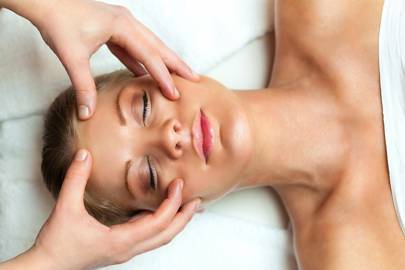 Celebrity facialist is famed for her inner-cheek massage (she massages the inside of your cheek to relieve muscle tension) and facialist has been nicknamed 'magic hands' for her transformative facial massages. While there are many devices available allowing you to perform the wondrous facial treatment at home, it's always best to get a professional treatment once in a while to target those specific areas of tension.